For most people Memorial Day is nothing more than the first long weekend of summer—perhaps involving an excursion to the beach, a family get-together or the opportunity to take in the Indy 500. But Memorial Day is far more than that. It’s a time for remembering all those who served and lost their lives in war. What many people tend to forget is that along with the soldiers who go to war, nurses go as well—not to fight in battle, but to help save the lives of injured soldiers and to provide comfort to those soldiers they cannot save. U.S. military nursing has been around for several centuries—since the 1700s. 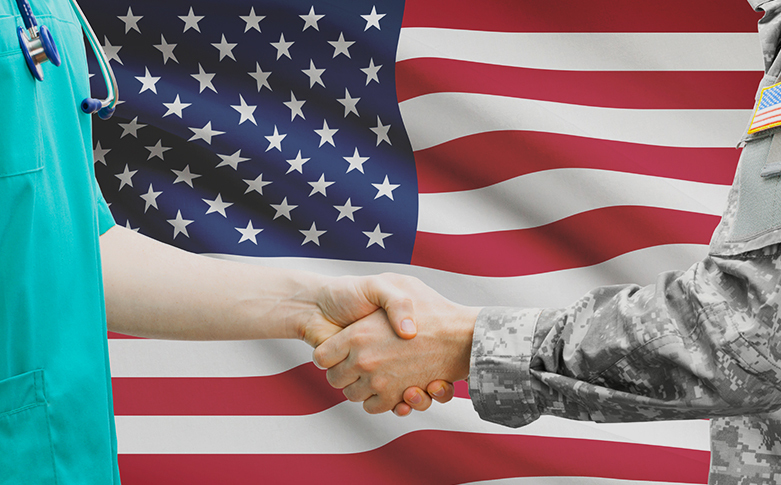 Here are some military nursing facts that you may find interesting, and which might encourage you, as a nurse, to devote a little time this upcoming Memorial Day to paying even a silent tribute to military nurses. More than 10,000 nurses served in World War I. They traveled across the Atlantic Ocean by ship, and the journey took about two weeks. Somewhere between 200 and 300 nurses died in World War I. Many contracted illnesses such as scarlet fever and influenza, which took their lives. Some died in military accidents, and some died at the hands of enemy weapons. In the 1960s and 1970s, the nurses who went overseas to nurse injured soldiers in the Vietnam War were young women who had just graduated from nursing school. This was their first nursing experience, and they served for one year minimum. They could serve longer if they chose to. As the machines of war evolved, the nurses who served overseas saw and treated injuries they would never have to deal with again. For example, during the Vietnam War, napalm, a flammable liquid that causes severe burns and often death, was a commonly used weapon, and nurses saw its horrible effects. Today, the nurses who go overseas range in age from 20 to 60, and one-third are men. The service term is six months, but “active duty” nurses can be reposted (sent back) several times. The Army Nurse Corps became an official branch of the Army Medical Department in 1901. You can learn about joining the Army Nurse Corps on the U.S. Army website. There are 10 different nursing specialities in the Army Nurse Corps, ranging from Army Public Health Nurses to Perioperative Nurses to Psychiatric Nurse Practitioners. Military nurses have served in numerous wars, including the Spanish-American War, both World Wars, the Korean War, the Vietnam War and Operation Desert Storm. They have served with NATO troops in Haiti, Bosnia and Kosovo. During World War II, 67 Army nurses and 16 Navy nurses were held by the Japanese for three years as prisoners of war. Located near the Vietnam Memorial in Washington, D.C., is a memorial to all nurses who have served in all wars. It’s a bronze statue of a nurse caring for a wounded soldier. As a nurse, hopefully you’ll have the opportunity to visit this memorial someday—if not on this Memorial Day, then perhaps on another Memorial Day, or any day. Be sure to take time to reflect on your country’s honorable military nursing history, one that still has many pages to be written—since war is unfortunately not history yet.